STATEMENT OF THE NATIONAL DEMOCRATIC CONGRESS (NDC) ON THE STATE OF HEALTH CARE SERVICES IN GRENADA TODAY. The National Democratic Congress registers its gravest concerns regarding the poor quality of health care being provided to the Grenadian public, the rapidly deteriorating conditions at the country’s hospitals, and negative impact it is having on the morale of the health care professionals, including the doctors and nurses. Of greatest concern is the failure or inability of the Government to adequately staff the hospital with the number of doctors needed to provide basic services. According to World Health Organization (WHO) , taking into consideration the population of Grenada, a total of 47 doctors are needed to “man” the three hospitals in our Tri-Island State. During the tenure of the NDC administration between 2008 and 2013 the number of doctors servicing the hospital stood at 45. Over the past two years the NNP administration retained the services of only 35 doctors to service the hospitals — 12 less than what is required. Moreover, according to reports received, 5 of the 35 doctors presently on staff are scheduled to leave the service shortly to pursue specializations in various medical fields. This would bring the total number of doctors servicing the three hospitals down to 30 — 17 less than the 47 required. Secondly, due to the severe shortage of doctors, the junior doctors/house officers are forced to carry the brunt of the workload and are seriously overworked. According to reports received from the hospital, at any given time, there are only 4 junior Doctors taking up duty at the General Hospital. Beginning duty at 8 am, they must check the wards, attend to the clinics, attend at the operating theatres as needed, then go on call from 4 pm to 8 am the next morning. They are also expected to cover casualty during that 24 hour shift. The doctors on casualty spend as many as 12 continuous hours in the emergency room. Again, according to World Health Organization, the normal working hours per month per doctor should be 160 hours. According to reports received, the young doctors are clocking in some 360 hours per month, leaving them physically and mentally exhausted. This situation significantly increases the risk that they would exercise poor judgment, make incorrect diagnoses or prescribe improper treatments. Similarly, there is an acute shortage of nurses at the hospitals. We are advised that according to international best practice, the standard patient to nurse ratio at any given hospital should be 4 to 1. At our General Hospital here in Grenada, the nurses report that they are often operating on a 25 to 1, sometimes even on a 30 to 1 ratio. This situation exists while there are as many as 36 registered and skilled nurses sitting at home without employment. Moreover, the Government has stated, as a matter of official government policy, that in relation to public workers, including nurses, it will employ an attrition policy whereby only 3 nurses would be hired to replace every 10 nurses that retire from public service. These health practitioners are required to work within a system with very little, or, in some instances, inadequate medical supplies and medicines and poorly functioning equipment. In fact, reports received from the general hospital indicate that right now, there is only 1 functioning anaesthetic machine to service the 5 operating theatres at the hospital. As a result, only emergency surgeries can be performed at the hospital. To the utter astonishment and dismay of the general public, oxygen tubing devices and nasal cannulas are washed and hung to dry on the rusting bars and window sills of the paediatric ward, even though nasal cannulas are designed and intended for single-use and then discarded. Mouth pieces and facial masks are also washed and reused. Undoubtedly, this increases the risks that micro-organisms will find their way into these devices and result in the infection of subsequent users. Nebulizers at the casualty department are also washed and reused. Urine tests are done without gloves, leaving the nurses exposed. Dressing trays that are supposed to be one to a patient are used one to a section — a section holds 6 beds. The situation is no better at the Princess Alice Hospital. They are now back to 3 doctors, working 24 hours at a time. This hospital, like any other, should be staffed with Consultants/Specialists, Registrars, Junior Doctors/House officers and Interns. Princess Alice Hospital serves the largest parish in the country, St Andrew, as well as the two adjoining parishes, St Patrick and St David. Yet, it is forced to operate without Consultants, without Registrars and without Interns. The questions must therefore be asked: Who is looking over the Junior Doctors? Who is to ensure that they administer the correct dosage of medicines to the patients? Princess Alice has 5 departments — male, female, paediatrics, maternity and casualty. There is only 1 ward manager. When away on leave, there is no replacement. It is reported that quite often, the nursing assistant is in charge of the wards. This is happening at a time when government is boasting about the export of Registered Nurses to another country. There is only one nurse at the casualty at Princess Alice per day or night. Reports are that there is usually no one at the information desk . As a result, the same nurse has to answer the telephone, take orders, do dressings, and be with the doctor (when there is one), during a procedure. According to the reports received from the hospital, there is still no one to operate the ultrasound machine and the incinerator. On the sister islands of Carriacou and Petite Martinique, the situation is even worse. 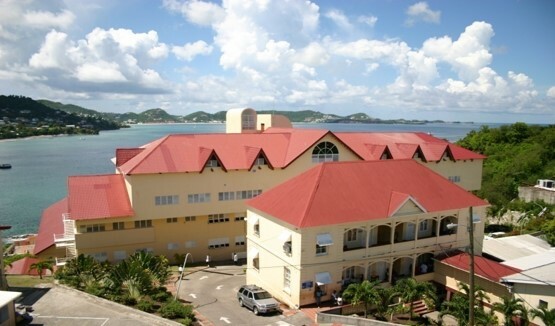 Given the lack of facilities and equipment at the Princess Royal Hospital, the residents must travel to Grenada for the most basic services. In emergency situations, they must find hundreds, sometimes thousands of dollars to travel to Grenada for emergency treatment. There are only 2 doctors serving the two islands — one at the hospital and the other serving the clinics including the clinic at Petite Martinique. When the doctor serving clinics travel to Petite Martinique, there is no one serving the clinics on mainland Carriacou. The shortage of medical equipment, supplies and basic medicines at the Princess Royal Hospital has become legendary. Only a few weeks ago, a 49 year old woman who travelled from the United States to visit her mother, died from an asthma attack because the lone respirator at the hospital was not working. The National Democratic Congress (NDC) understands and appreciates that Grenada does not have an unlimited amount of resources and that there is a limit to what can be done. At the same time, the situation is dangerous and unacceptable. The risks posed to the health of the entire population of Grenada, Carriacou and Petite Martinique are simply too great! The Government must act, and act NOW! We hold the view that much better can be done by a caring government with the right priorities. The money spent by the Prime Minister on his globe- trotting and joy rides to different parts of the world can be used to purchase badly needed basic medical supplies and medicines for the hospitals — even gloves for the nurses to work with. The ministerial salaries paid to parliamentary back-benchers who have no ministerial responsibilities or portfolios can be appropriately adjusted so as to realize some savings to be applied to public health. The large pay cheques to political advisers and operatives can be diverted to the health sector without any loss of benefit to the state of Grenada, Carriacou and Petite Martinique. It is the responsibility of the government to do what is necessary to ensure the health and safety of the citizens of our country. Put an immediate end to the attrition policy whereby government will replace only 3 nurses for every 10 nurses that retire or leave the service.